FARM KING IS PROUD TO INTRODUCE THE PENDOLARE DISC MOWER SERIES TO THE CUTTING TEAM. The Pendolare models are constructed using only the highest-grade steel and gear components. Cutting discs and blades are easily accessible by removing six bolts and the sturdy cover to reveal the inner workings of each disc assembly. Tractors ranging in horsepower from 65 to 95 can operate the three exclusive mower sizes with ease. The cutting unit consists of a central pendulum suspension with double shock springs. 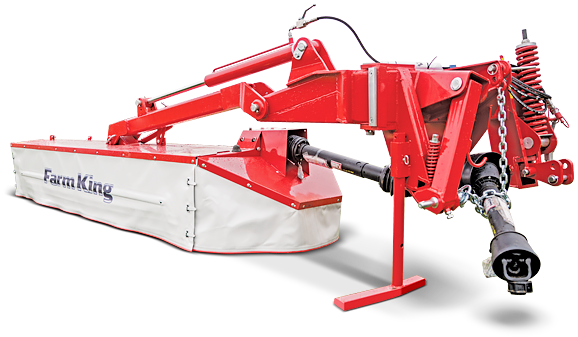 This allows a constant adjustment of the weight on the ground and allows the cutting bar to follow the soil profile for a clean cut.